It is interesting to note the general effects produced by similar exercises upon different individuals. When you enter the gymnasium for the first time you see the stout man going through the same movements as his thin neighbor. You may wonder if these movements that the stout individual is performing will be of any benefit to the thin fellow; yet, if you were to return to the gymnasium after an absence of a few months and if these same individuals had continued to work daily, you would find that the stout one had lost weight while the thin one had gained weight. This is because exercising produces two different effects. In the thin person it increases the bodily tissue while in the stout person it decreases the fatty tissue. These apparently different effects may be summed up in one chief effect, however, and that it is the development of more nearly normal metabolism or tissue processes. There are a certain number of muscles in the human body, and a stout person has practically the same muscular tissue as a thin person of the same general type and original build. You cannot see them developed in the fat man owing to his covering of fat, but you can plainly discern them in the developed thin individual because they stand out owing to lack of fatty tissue on them. The fat man most likely will have somewhat larger (though perhaps softer) muscles hidden under his fat than has the thin man. This is because he weights more and naturally has to carry around a greater weight than the thin one, thus giving his muscles more exercise; his muscles should be larger in proportion to the amount of work they do. But when both the thin man and the fat man, after a sufficient period of training, reach more nearly the point of bodily perfection their muscles will be very little different in size, though they may be considerably different in contour. From this we can see that the need for exercise is felt just as much by thin people who assimilate too little as by fat people who assimilate too much. The need for exercise, then, depends upon one of two physiological necessities, the intensity of which gives us warning. It comes from an overcharge with reserve materials, and the urgent necessity that these materials should be burned; or it may arise from a general sluggishness of the functions and the need of a stimulus capable of arousing them to a fresh activity. By this time you will realize the value of being in condition and keeping the muscles fit, for one who has any weak part in his make-up cannot expect to qualify in any test of endurance. I must admit that my greatest interest is in body building, and I sometimes find it difficult to refrain from branching off to that subject. But as I have covered this in another book I will only touch upon the high spots in your physical make-up. Let us consider the neck. A strong neck will prove valuable in many instances, but would be of little use in any endurance work. Nevertheless, the trapezius muscles, which run well up into the rear of the neck, are used in most movements of the shoulders and arms, in addition to strictly neck movements. Therefore, the neck will receive considerable work in a great number of endurance exercises. Rowing and swimming, for instance, bring into play to a great extent the trapezius muscles. The forearm and upper arm muscles must be fit, for they will be used in all climbing exertions. The value of strong legs need hardly be emphasized. When the muscles of the thighs and calves coordinate properly they not only will pull you through many an emergency, but through the development of a good pair of legs you can be assured of good respiratory power. As I have mentioned, it is impossible to perform vigorous leg movements without calling heavily upon the lungs. As important as the muscles are in performing endurance work, I consider the lungs of greater importance, for it is in the respiratory organs that the first sign of fatigue is felt. The amount of air entering the lungs is regulated by the capacity of the lungs, and, of course, by the demand for air, by exercises or work. Therefore, it is of great importance that the muscular work you do is such as to increase the size of the cavity in which the lungs are contained and the lungs themselves. So many people, and I can truthfully say the majority of people, breathe with but a small part of their lungs. Singers and wind-instrument musicians are in a class by themselves when it comes to lung capacity. Their excellent chest cavities are developed unconsciously through their chest and lung exercises incident to their professions. However, the average individual can obtain just as remarkable a lung capacity as any singer or musician who plays the cornet, trombone or other wind instrument, by practicing forced breathing. The amateur physical culturist lays too little stress upon the importance of deep breathing, and considers the simple arm movements which throw the shoulders back sufficient to increase his lung capacity and the size of his rib-box. But he is sadly in error. Accumulation of work is really the only way to obtain good lungs and staying power. By accumulation of work I mean the combined performance of exercises of strength, speed and endurance. Where the arms alone perform the work you will find very little breathlessness occurring; but where the arms unite with the legs in performing exercises you will find yourself quickly becoming winded. Leg exercise requires much more work than that which is performed by the arms. The muscles of the upper limbs could not support without extreme fatigue an expenditure of force that could be borne by the lower limbs with small effort. It is an easy matter to walk a mile; but where is there a gymnast or a strong man who could walk a mile along a horizontal rod or ladder while hanging from his hands? The total mechanical work, however, would be the same, displacing the same weight through the same horizontal distance. When fatigue overtakes you and you are breathless, the act of satisfying your thirst for air naturally will be of wonderful benefit to the lungs, yet it will not expand the chest nor increase its size as much as forced deep breathing under normal conditions. As the legs possess practically three times the strength of the arms they are capable of producing three times the amount of work. But if the lungs are not in perfect working order, that is if the rib-box is not flexible and the lung capacity not great enough, the same performance of leg work will exhaust you in a shorter time than would arm exercise, even though, as I said, the legs are much stronger than the arms. Consideration must be taken of the weight of the body which the legs must carry; and, naturally, greater effort constantly is brought upon them than upon the arms. A great many teachers of exercise are in error regarding the development of lung power, as so many of them advocate the simple raising of the arms to raise the rib-box and thereby increase the depth of the chest and lung cavity. Such exercise may be good for loosening the rib-box, and perhaps when accompanied by deep inhalations will add an inch or two to the chest; but, as I stated before, real lung power can be developed only by actual endurance practice. Walking along the street and taking one hundred deep inhalations a day, for example, will not benefit you to any great extent in the development of endurance. The best exercise for increasing the size of the chest is that which compels the deepest inhalations—natural inhalations, and not those consciously and intentionally produced by the will. You can experiment along these lines yourself. You may swing your arms, bend your body from side to side, or perform all manner of twists and calisthenic movements, and yet breathlessness will not come on as quickly as it will by a short vigorous sprint, whether it be in running, swimming, rowing or the like. After such a sprint the lungs are fairly crying for more air, with the consequence that you will be compelled to inhale as much oxygen as possible in order to satisfy the craving. One cannot expect to excel in any feat of endurance unless first of all he gives attention to his lung capacity and rib-box. All endurance work requires staying power—good wind. It is true that good lung capacity and wind will be developed from the practice of endurance work; but endurance work will come much easier if lung development is gotten before the endurance work begins. 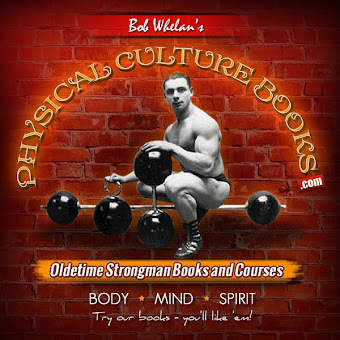 The finest-built athlete, whose arms may have reached the strong man’s proportions and whose pectoral or breast muscles may stand out in pleasing contour, likely will possess a comparatively narrow chest in spite of his development if his lungs are weak. I frequently attend a gymnasium and play handball with the instructor there. This man has practically no muscular development to speak of; but what an enormous chest he has! His rib-box is wide, and the deepest part of his chest seems to be below the breast bone, and when viewed from the side, when he stands erect and has his chest somewhat expanded, it takes on the appearance of a high, fleshy abdomen. 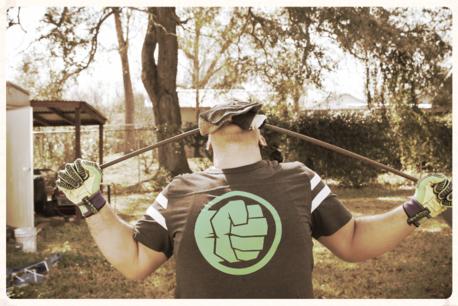 This fellow finds no difficulty in playing twelve or fifteen games of handball without stopping. And though his muscles are of a different type entirely from those of the weight lifter or strong man, still they are more pliable and have considerably more endurance. His staying powers seem to be perfect, and all this I ascribe mainly to his wonderful lung capacity and the flexibility of his rib-box. If you wish to develop the chest, do not try to do so by raising the ribs, but by trying to inflate all the air cells of the lungs. You cannot do this by any mechanical means; and the most voluntary muscular movements would not produce the results obtainable by forced aspirations. The lungs are increased in size as a result of forced respirations which make them work better. Under the influence of unusual exercise the air cells increase in size and contain more air. Also, more blood is supplied to them. Their capillary network becomes more pronounced, and, in consequence, their nutrition is more active. Accordingly, they take up more room. It is in this manner that the regular working of the great number of air cells that ordinarily are inactive can rapidly increase the size of the lungs. In order to increase the size of the chest and the lung capacity the work must begin from the inside, and not from the outside by the simple working of the muscles. Oxygen must be forced in, and as the lungs expand and become larger they press against the ribs, stretching the cartilages between the ribs and finally spreading the ribs father apart. Exercise, it is true, can be of great assistance in increasing the quality of the lung tissue. For instance, if the arms are held overhead when taking deep inhalations, naturally the ribs are elevated and more in a position to receive the pressure of the lungs from the inside. You would not expect to take very deep breaths while sitting in a crouched position. It is only natural that you throw your shoulders back and raise the rib-box as much as possible while performing deep inhalations. Increasing the size of the chest, then, is done chiefly by the work of the lungs. It is not a fair measurement to consider the size of the strong man’s chest when passing the tape around the chest under the arm pits, because of his outstanding latissimus dorsi muscles, those beefy yet pleasingly proportioning hills of flesh that cause the slant from the arm pits to the waist line. The thickness of his pectoral, or breast muscles, also adds considerable to his chest measurement. Although many strong men show enormous chests, both in appearance and in measurement, many of them possess weak lungs. If I were to have my choice and could accept only one or the other, I most certainly would select the body which has a big lung capacity rather than the large and muscular body containing weak lungs. With a good chest and lung capacity it is an easy matter to add muscular tissue in proportion. I at least would be assured that the amount of oxygen entering my lungs at each inhalation would purify my blood and keep me immune to sickness and disease and fill me with robust health that everyone should experience. If you have a good lung capacity to begin with, the practice of endurance movements will come much easier to you than if you endeavor to build up your lung capacity and rib-box by means of endurance exercises. Let us say that we have a thin man and a husky chap who start to exercise at the same time. Neither ever has worked physically before. After each has performed exactly the same exercises for a period of about six months, it will be found that the burly chap quite evidently has made better progress and will be much stronger than his thin competitor. This is because he had a good foundation to begin with. Hence, if you have a good flexible rib-box and a fine lung capacity you have every advantage in your favor when you begin training for endurance work. Since the muscles play a most important part in endurance work it is essential that we look into the general effects of exercise upon them in order to learn more of their capabilities. Among the most striking effects of muscular exercise are the changes undergone by the muscles themselves under the influence of work. They lose much of the fat between their fibres, it being burned up by the activities; and by persistent daily efforts they gradually increase in size. But loss of fat and increase in size are not the only changes observed in the muscles as the result of work. You can notice also a change in shape, depending upon the movement the muscle performs. This is one of the most interesting of the local effects of work. A muscle which is more constantly in action than other muscles, or in other words a muscle which contracts more often than its antagonist, undergoes in the end a certain degree of shortening. This is very noticeable in the arms of some indoor physical culture enthusiasts. 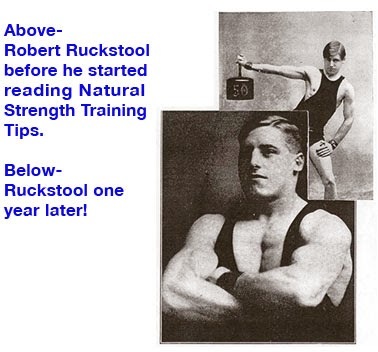 I have observed young fellows who have exercised with five-pound dumb-bells whose bicep muscle was so shortened that the lower part did not break or slant into the proper place on the upper forearm but seemed to be attached to the humorus or bone of the upper arm. This, of course, was not the case, as all biceps are attached to the radius bone of the forearm. The movement this one man in particular had performed consisted of curling the five-pound dumb-bells from the arms hanging at his sides so that the bells touched his shoulders alternately during the curling movements. 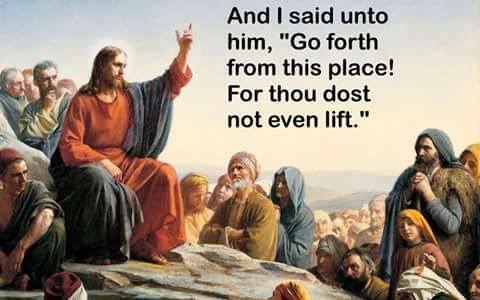 Evidently he had been lowering the bells but not fully straightening his arms. Hence, there was always a tension upon the belly of the biceps, which is turn became shortened and naturally lacked the power that it would have had if the break or downward slant of its lower extremity had gone into the proper place. Such a development might be called a deformity of the muscle. This same thing can occur in any muscle or group of muscles in the body. That is, they can be worked or exercised improperly, with the result that they not only will lack the contour they could have if exercised properly but they will lack the strength, also. You may wonder how the shape of the muscle could possibly affect endurance. But if the muscle is improperly developed and shortened this most assuredly will have some reducing effect upon the leverage and coordination essential in all endurance tests. Muscles for endurance must be long and pliable. Of course, they also can have bulk and size; but if the development through the exercise performed is merely bulk of muscle, it will require changing of routine and plans of training in order to qualify the muscles for endurance work. If, for example, you persist, in training with heavy dumb-bells you naturally will acquire huge muscles, and they will be strong, as well; but in all probability they will be useless in performing endurance tests. 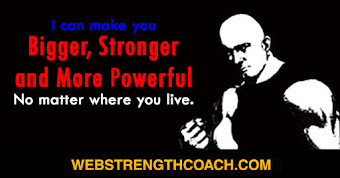 If you divide your exercises and mix them, so to speak—performing some strength-and muscle-building work and some endurance work—the muscles, while probably not reaching the measurements, bulk and contour that they would have reached if you had trained exclusively for development, yet would be far more useful to you; and you would be able to accomplish a great deal more whenever you felt like it, even though you lacked the half-inch or so of girth that you could have gotten by eliminating all light movements. The desire to continue exercising lessens as one becomes older. This is simply a law of human nature, or appears to be. Frequently the one ambition of a young man in his teens is to become as big and strong as possible. He thinks only about a chest or upper arm measuring so many inches. If he can but develop certain Herculean proportions he feels that he will be absolutely satisfied with life and that there would not be another thing that he would wish for. 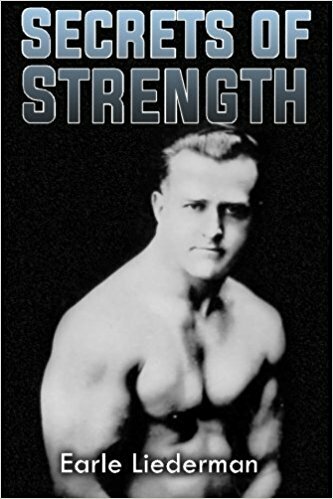 But as he becomes a little older and realizes that robust health, sound heart and lungs and more endurance are of more concern and benefit to him than the more showy muscles and entertaining strength, he is more apt to discontinue his heavy training and adopt methods more suitable for his years and his more mature aims. As a rule, when a man reaches thirty he is through with exercising; and most men in the thirties are pitifully out of shape, muscularly, bodily and functionally. It would be folly for anyone to continue vigorous training with heavy dumb-bells when he reaches the late thirties, and yet there are a few who keep it up. That is why we often read that “another strong man dies young.” It is not only folly, but it is fatal to force oneself to continue year after year with the most strenuous exercise that one performed during his youth. If you are young and a weight-lifting enthusiast or an advocate of heavy exercise, bear in mind that much of the muscle tissue you have acquired from such work positively will be replaced by fat if, when you grow older, you discontinue your training. The habit of exercise is an essential one to form for the development and preservation of best health; but no matter how well developed the habit my be, it will be against nature’s law to continue well into middle life if the work is of very strenuous variety. It would be far better to perform moderately vigorous movements and exercise that will keep the muscles supple and capable of prolonged movement. A habit of exercising in such a manner will remain much longer as you become older, for you will not have been putting such a drain upon your body as by endeavoring to force yourself to continue with the most violent work. The one who has no desire for muscle or strength but who performs light calisthenic movements in his youth, for the purpose of keeping in good health, will be very apt to continue these movements even after he is in the sixties or seventies. Of course, light calisthenic work is of no particular value for anything except the maintenance of good circulation and general health. 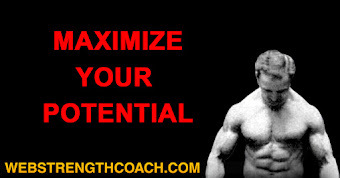 If you desire larger muscles and greater strength you must work much harder and longer and put forth greater effort than in the performance of calisthenic movements. I am an advocate of heavy work, but I do not believe in forcing the body. If you have the energy and foundation brought on by experience in training and have the desire to obtain greater strength and muscle bulk, then the lifting of heavy weights would be the thing for you. But, I repeat, if you persist in lifting the weights and performing heavy dumb-bell exercise and do not do any light endurance movements in conjunction with such training, your muscles will prove worthless in any endurance test, and so also will every organ concerned with such tests. If, on the other hand, you are interested in all endurance work and do not have that youthful desire for bulk or great strength, you would profit mc more by adopting and continuing such methods of training as would develop endurance, for you would possess muscles and staying power that would last for many years longer, should you at any time become lax in your physical activities or entirely discontinue them. To a swimmer who is capable of swimming a mile or more (and it is very easy to swim a mile after you have mastered the art of swimming) it would be a very easy matter to swim a quarter of a mile or more even though he had not entered the water for a period of many years. But a sprinter of short distance swimmer, who is sued to one hundred or two hundred and twenty-yard sprints, would find himself all out of condition were he to attempt to swim his accustomed distance or even less, after he had absented himself from the water for a few years. Take the runner for example, also. Even if one who had had the ability to trot along for a mile or two sat at a desk for several years and did no running at al, he still would find himself capable of running a fair distance; whereas another individual who never had run more than one hundred yards in his life, would find himself greatly fatigued from his exertions were he to attempt to run his accustomed distance after a few years lay-off. From this it can be seen that prolonged movement or endurance work is of more value in later years than the violent exertions which give the muscles bulk and strength. These statements may seem questionable, but I suggest that you experiment for yourself and find out. If you have specialized in any one form of athletics, even though you have not done any athletic work in that line for a long time, you will find yourself more capable of performing or accomplishing movements in the line you excelled in that you would in any other form of physical activity. But this is particularly true if you have done endurance work of some kind. I have known a certain insurance man in Brooklyn for a number of years, and many times have seen medals and cups which he won in his youth for high jumping. I think he is now in his fifties; but he possesses the body of a man in the thirties, although he has done practically no physical training at all for several years. A year or so ago, when crossing the street, an automobile was almost upon him before he saw it. With quick presence of mind—more, in reality, an instinctive muscular response—he jumped—not forward but upward, so that his legs straddled the hood of the car. Outside of a few minor bruises he escaped uninjured. But the ability in high jumping that he still possessed undoubtedly saved his life. This also shows an interesting case of unconscious or instinctive muscular reaction or response. Had this man been a broad jumper he undoubtedly would have jumped forward; but because he had excelled in high jumping, the first thought flashed to the muscles of his legs propelled him upward. The reader must not misunderstand me and think I am condemning strength and the means of its development. 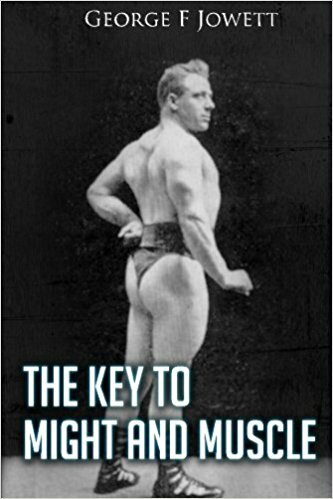 In one chapter I recommend strength work, and now it may seem that I am somewhat opposing it. But I am not. Muscles that are strong and capable of great exertions will prove just as useful in many cases of emergency as will muscles capable of endurance only; and I want to impress upon you the value of the power of physical self protection. What I am endeavoring to set forth is that muscles should possess endurance qualities just as much as or even more than bulk or strength. The two should be combined. If you combine endurance movements and strength movements you can obtain a harmonious and pleasing development even though you may not secure the maximum girth that you would if you remained exclusively with strength training. But it is not worth while to sacrifice half an inch, let us say, of girth to possess muscles that will prove capable, should the emergency arise, of saving your life or that of another? If you exercise exclusively with heavy dumb-bells or barbells for purposes of developing strength and muscle bulk, you will obtain the maximum girth and the maximum strength that your frame work and capabilities permit and warrant. But in order to maintain the same bulk year after year you must continue such exertions and stick to progressive exercising. If you do not you will find your muscles decreasing in size half an inch or more. And yet, it will be impossible for you to continue the violent strength-building exercises in later years that you are capable of performing in your youth. Your energies would not permit the continuance, and, as I have said before, if it were possible to continue, it would prove disastrous. Now let us suppose that you do not devote your entire time to dumb-bell exercise but divide your exercising period into about fifteen minutes of the heavy work and about fifteen or twenty minutes or more of light work. After a year or two, instead of having a sixteen-inch arm and a forty-five-inch chest, suppose you had a fifteen and a half-inch arm and a forty-four inch chest. The contour of your muscles would be just as pleasing even though they lacked this half inch in the arm and inch in the chest, and other parts accordingly. However, your muscles could outlast the muscles of the exclusive heavy weight lifter, and you would be able to accomplish things that would make the dumb-bell artist sit back with envy. 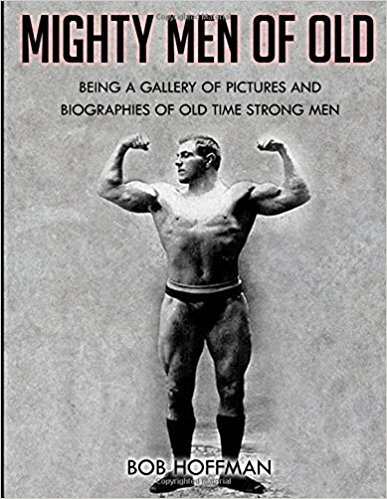 As you grew older and entered your thirties you would still possess the fifteen and a half-inch arm and forty-four-inch chest, because these measurements were developed through more natural exertions and were not forced, as are the ones of the heavy weight enthusiast. If at the older period of life, you were to discontinue endurance work and exercise exclusively with violent work for a shorter period of time than you would in your youth, you might easily increase the girth of your measurements for the time being. But here again, to continue such violent work would be unwise. Muscles developed by the use of heavy weights are never as pliable as those developed by endurance movements. You readily can see, then, that no matter how hard you may work physically in your youth and how much progress you may make with heavy weight exercises, you positively will lose some of the strength and some of the measurements and contour of your muscles and you become older. On the other hand, if you combine endurance movements with muscle- and strength-building movements, you will be more inclined to maintain for a much longer period the proportions that you have gotten from such methods of training, because the stain is not so great upon the organs, and the vitality would not be lessened quicker than it could be replenished, as is the case with exercise that is all muscle-building. As muscles developed by heavy dumb-bell exercise would be valueless in endurance work, and as muscles developed by endurance movements would be valueless in performing heavy work, why not combine the two and have muscles that are strong as well as pliable and with endurance qualities and fit for all classes of work according to desire and possible need?